Until recently, I was pretty unfamiliar with the man who seems to be Nigeria’s next big artist: Burna Boy. I had heard his song ‘Tonight’ sometime last December and truth be told, I liked the song. Okay, I really liked the song. It had a fresh sound compared to typical Nigerian music. Not that I don't love the likes of Davido and D'Banj, but there was something about the smoothness of Burna Boy's dance-hall which just got me! 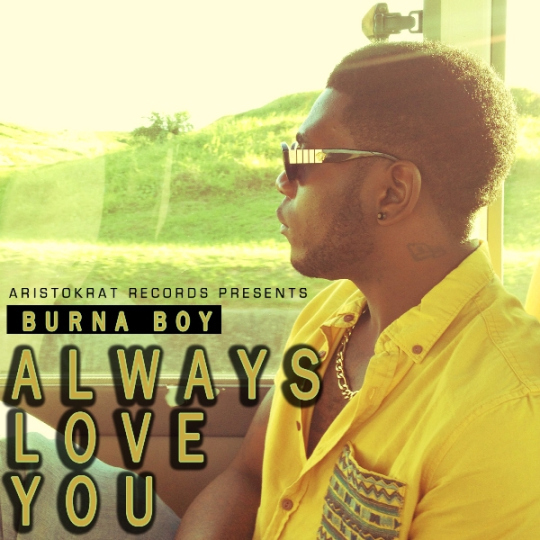 Anyways, he is back and his song 'Always Love You' just got unofficially released on the internet. 'Always Love You' is quite a different sound when compared to 'Tonight' - it seems to have a more pop or techno beat. If this is a sign to what is to come on an upcoming album of his, then I'm excited! Over this next week, if you begin to feel overwhelmed or stressed out, just put this song on and I'm sure it will put a spring back in your step. You are welcome in advance. Oh yeah, and his father was the manager of Nigeria afrobeat legend Fela Kuti, so this guy's got good music in his blood. Take a listen below and grab a free download over at OkayAfrica!